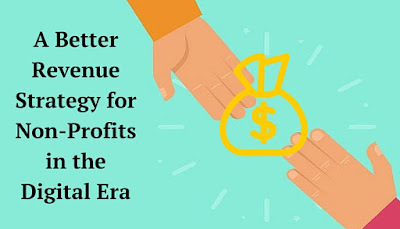 FairPay is a revolutionary new logic for revenue relationships in our increasingly digital world -- it was designed to make for-profit digital business more effective, but also promises to dramatically enhance revenue generation for non-profits. The Internet has given new power to consumers. FairPay accepts that power and works with it to shift relationships from a short-term, zero-sum focus -- one that no longer works effectively for anyone -- to an ongoing win-win focus that seeks to maximize the co-creation of value over a relationship. It creates a new focus on the fairness of pricing and value propositions on an individual basis -- an "invisible handshake." This FairPay handshake is particularly relevant to non-profit services. What better sector to benefit from the fairness and cooperation that FairPay elicits? There was the usual set of levels based on number of people and features to be included, with a set price for each. This made it easy for me to pick a level, but offered only a crude basis for the museum to seek more share of wallet. There was also a "Curate Your Own Membership" program that let me choose from five series of premium features -- with any one included, and added ones offered for $40 each. The five series were billed as Social, Learning, Insider, Family, and Philanthropy, with a short phrase explaining the apparently non-overlapping of features in each. That was a nice touch, adding some of the spirit of FairPay, in that it was meant to enable me to better customize my value proposition. The problem was that they made me an offer I couldn't understand. Not having been to any of their events, and not knowing the exact topics, how could I know which I would want? I doubted I wanted enough to buy extras, so just picked one that sounded OK. Great willingness to customize the value proposition, but not very effective at it. The core problems: unpredictable value, and need to set prices in advance, in ways that cannot be expected to match well to value. Before looking at other examples, let's dig a bit deeper on the issues here. The problem is there is no real dialog about value, so no real optimization of the value proposition. I have been to the museum several times since joining, and have had no real interaction with the organization. They must know my attendance record, and that I have gone to none of their special events, but I have no hint of that. If they want a bigger share of my wallet, they are not targeting me well at all. With FairPay, the membership price could be set based on usage, with 20-20 hindsight (maybe every three or six months) -- after I use whatever services I please, and get a usage report that reminds me what I used (exhibit visits, extras from any of the five event series) along with an itemized suggested price from the museum, tailored to what I used and what is known about me (maybe visits were 30 minutes or five hours; some at peak times or not, some to sold-out events, student/artist/senior, etc.). The museum could instead offer "post-bundling," a way to create ad-hoc packages of services on demand, at prices that build in personalized volume discounts. That could encourage me to try more services, and to pay more, to the extent that I found them valuable. Even with just a simple form of this kind of "post-pricing," the extras from all five series at the Whitney might be offered to me at per-event prices, but with volume discounts based on number of events attended in a given pricing cycle. That way I need not guess in advance what I might like, and would take no risk of being wrong, (There could even be "roll-over" provisions to smooth over the arbitrary period boundaries, just like "roll-over minutes" on cellular services). Such post-pricing is an important foundation of FairPay, which adds other key features to generate rich customer journeys that center on win-win value. Modern marketing has come to realize that the key to success is not in individual transactions, but in maximizing return business. Transactions roll into customer journeys, and creating "loyalty loops" in those journeys brings the return business that maximizes Lifetime Customer Value (LCV). FairPay drives those loyalty loops to center on value, to fuel deeper and more effective relationships. FairPay does this by combining post-pricing with a new supercharged variant of Pay What You Want (PWYW) pricing. Non-profits often apply PWYW principles to donations, but in the digital age, even profit businesses are finding PWYW can sometimes be surprisingly effective. FairPay adds a new balance of powers to make this more effective. The new balancing factor is that the consumer pays what they think fair, knowing that the organization will track that, and make or withhold future offers depending on how fair the price seems to them, based on full consideration of the particular situation. Continuing our museum example, with full use of FairPay, the price schedule would just be suggestive (the PWYW aspect). The museum could highlight the value I actually got, based on actual usage data and report that with its suggested price. If I were a regular who came to value the programs, that would be evident to both me and the museum from the usage data, so we could converge on a fair price for what I used. If I went often, the price should be higher. If I ended up just going occasionally, we could settle on lower prices, but still keep me as a supportive patron with a sense of belonging and patronship, at whatever level seemed appropriate. That would still make me more likely to visit than a single-shot set-price pay-as-you-go alternative, and thus more likely to pay something, and more likely to consider a more generous level of payment/donation. Of course at first my price setting might be unduly high or low, but the museum could nudge me toward a good understanding of value and fairness by adjusting the level of perks in its offers (or terminating the privilege of FairPay membership, requiring me to adhere to a conventional price schedule). · Co-operatives that operate much like a business, but with all profits shared by the members. · Cultural organizations such as museums that may offer exhibits, facilities, and events. · Secular or religious organizations that may cover a wide spectrum of direct services like food, housing, schools, hospitals, and museums, and have a wide mix of direct customer recipients and indirect customer benefactors. · In non-profits that deliver services for fees, direct customers are expected to pay for services, but often with the help of subsidies from benefactors (indirect customers) who give donations to make those services more affordable. · In pure charities, direct customers may not be expected to pay at all, and benefactors are needed to donate enough to sustain that. · Recipients -- direct customers of direct services (the mission). Here, pricing takes on two interrelated dimensions -- what is the fair value of the service, and what is the fair contribution from the recipient (to both the cost of the service, and to the added overheads needed to sustain the organization). · Benefactors -- indirect customers of indirect services (the altruistic value of supporting services to others, and the value of being a benefactor, including perks and recognition). Here, the key dimensions are the value of services to others enabled by the benefactor’s donations, and the value of indirect benefits to the benefactor. The details will vary with the type of customer and the nature of the organization and mission, but the essential task is the same -- to generate sustaining revenue by setting prices that make the value proposition be "win-win." Of course these factors are difficult to quantify in any precise and objective way, but the beauty of FairPay is that it puts value into personal terms, with all of the nuance of human evaluation. Value setting need not be precise, as long as it is done through flexible and open dialog. · Customers (direct or indirect) can respond by factoring in whatever aspects of value they think important, including their perceptions of what is reported to them, plus any positive or negative factors they think important, including ability and willingness to pay. Multiple choice options (with some interpretation of free-text comments) can enable this to be automatically scored and factored into assessments of whether customer-set prices are fair. · The organization can offer "carrots" to encourage generosity, and gently withhold privileges or perks when "sticks" are needed. FairPay provides a dynamic, emergent process for both sides to learn how to make the relationship maximally win-win. That can bring the organization more customers (recipients and benefactors) and get more share of wallet (the amount that the customers can justify and afford to give). FairPay was developed because the invisible hand of Adam Smith no longer works well in the digital world. FairPay turns instead toward this new invisible handshake -- an agreement to work together in good faith to build a relationship that is win-win. If non-profits cannot justify support of their mission on the basis of fairness, what basis do they have? If fairness is the basis, what better process for justifying support than FairPay? 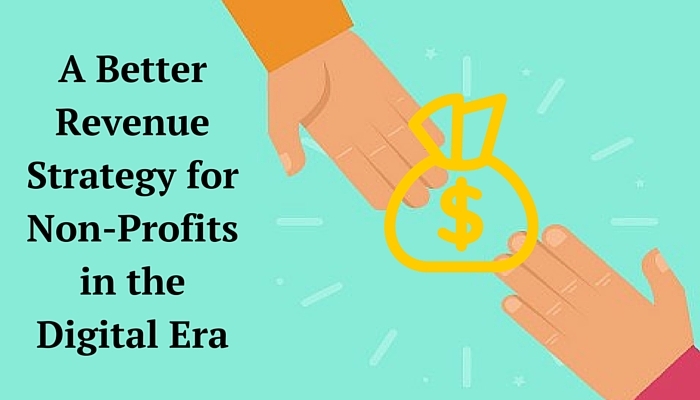 FairPay processes are not difficult to build and put into trials, but still require a degree of effort that might challenge the technical resources of smaller non-profits. This represents a major opportunity for a shared platform that can be used by many non-profit organizations. For example, Tessitura Network is a consortium of over 500 arts and cultural organizations that provides a common e-commerce and CRM infrastructure. A shared FairPay platform (and shared tracking of fairness) could benefit many of its members.